I was personally so frustrated about it that I even wrote an article about it. What are the tactics I can use to crush my technical demo?? With the right tactics, you can change shift instantly into the superior gear and become a super technical sales engineer. I know it because I tested all of those tactics and it works! 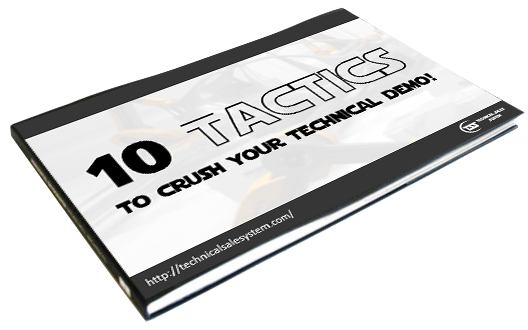 I decided to put those 10 best tactics in an ebook. If those tactics are so useful, why would I keep them for me? EVERY engineer should know them! That’s why I put them in an ebook JUST FOR YOU. If you know about them and you can apply them correctly, you will not only create awareness and attention about your product, you will create a genuine interest that will lead the prospects to contact you and ask you directly about your product. Do you imagine how the guys for the sales department will think if your prospect starts to contact YOU to purchase the product instead of them? You will have no excuse to become the best! I saw so many engineers who are performing incredibly awful technical demos… and the worst is that they are not even aware of it. I decided that this should stop and that I should tell what I know. 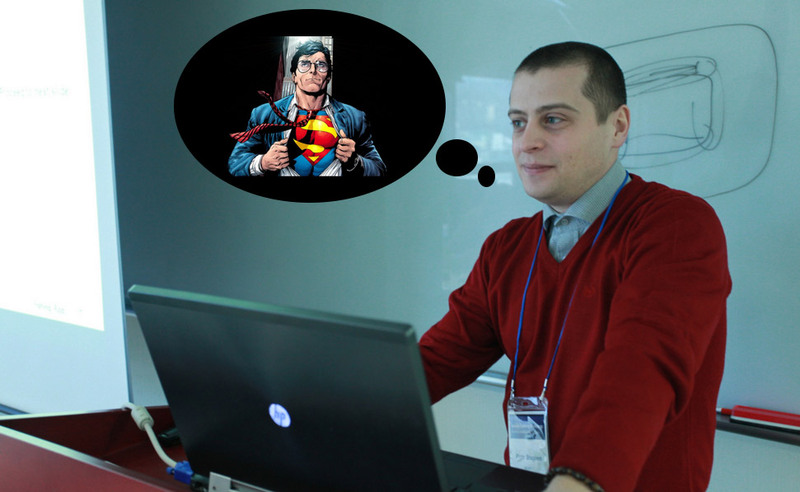 In one sentence: I am sick of technical sales engineer NOT applying those principles. I made this guide free, so you don’t even have to pay to acquire this knowledge. And you will have no excuse to become the best.